This week’s visit challenge is here! As important to a pirate’s arsenal as a cutlass, peg-leg, or squawking parrot, the trusty compass has been a staple of nautical navigation and orienteering for more than 2000 years. 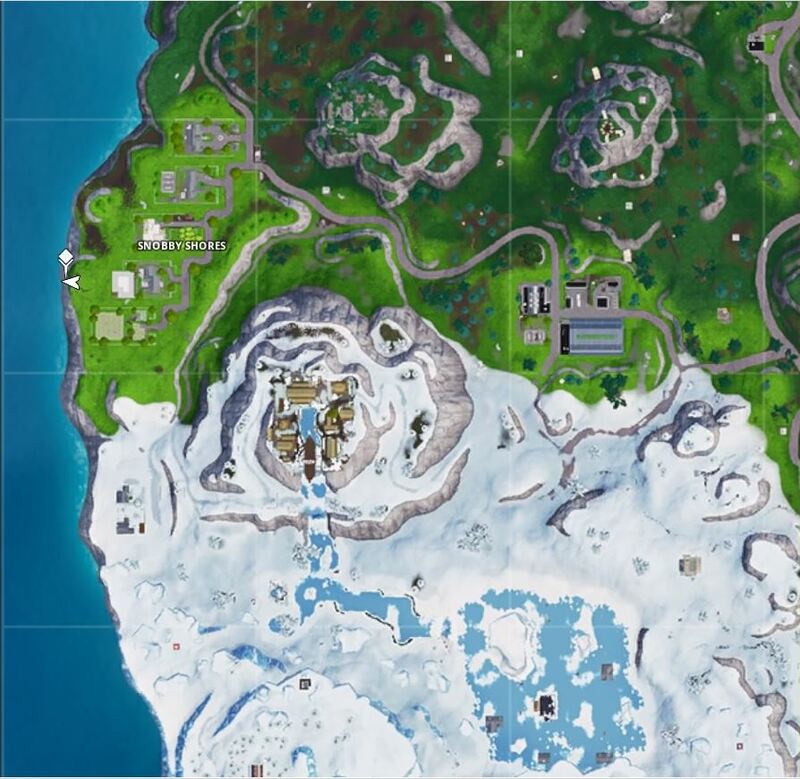 This week in Fortnite, one of the leaked challenges helps you to learn your compass points by visiting the furthest north, south, east, and west points of the island. 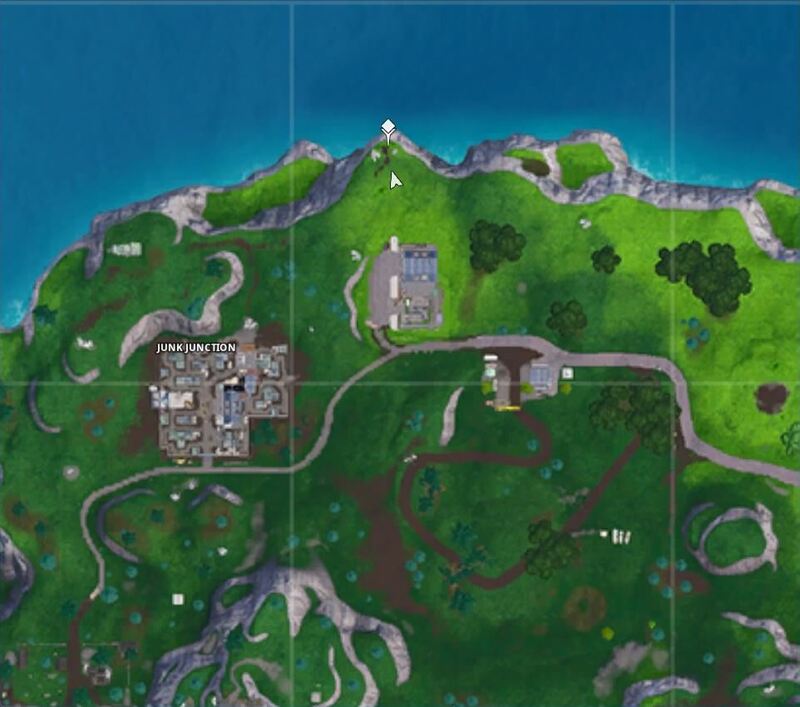 The distance between the four corners of the Fortnite island means that this challenge is best completed at the start of four different games, straight from the Battle Bus, or in the new Slide Duos LTM where you can pick up some serious ground speed. 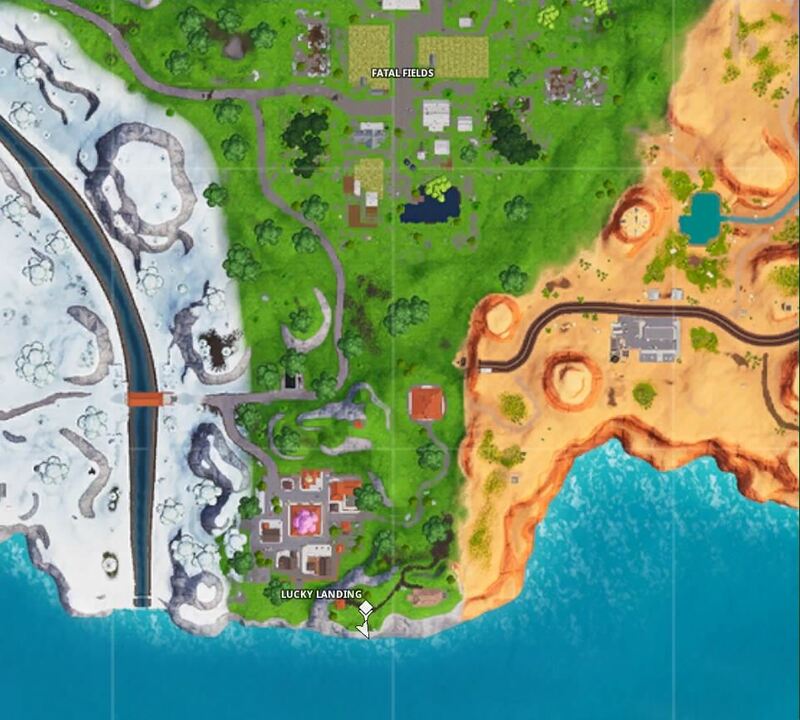 Other good ways to visit each location in a single match are to grab a Driftboard and zoom around the map, or a Quadcrasher from the car park just to the southeast of the northernmost point. At each point location, you’re looking for a little white sign with a compass symbol and a letter: N for north, S for south, E for East, and W for west. 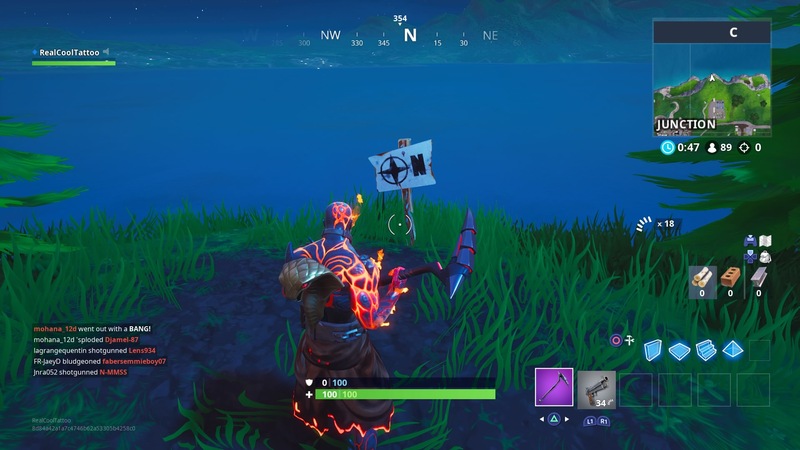 The furthest north point is to the northeast of Junk Junction, just north of the TV Studio. 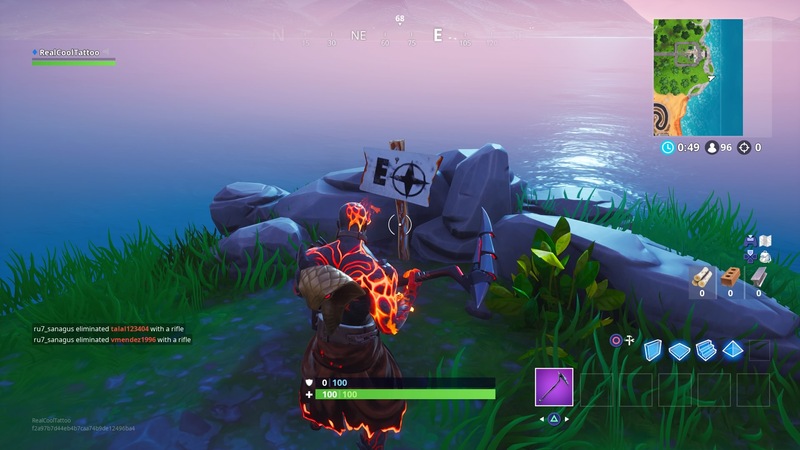 You can find the north sign at the end of a dirt trail looking over the edge of the island. 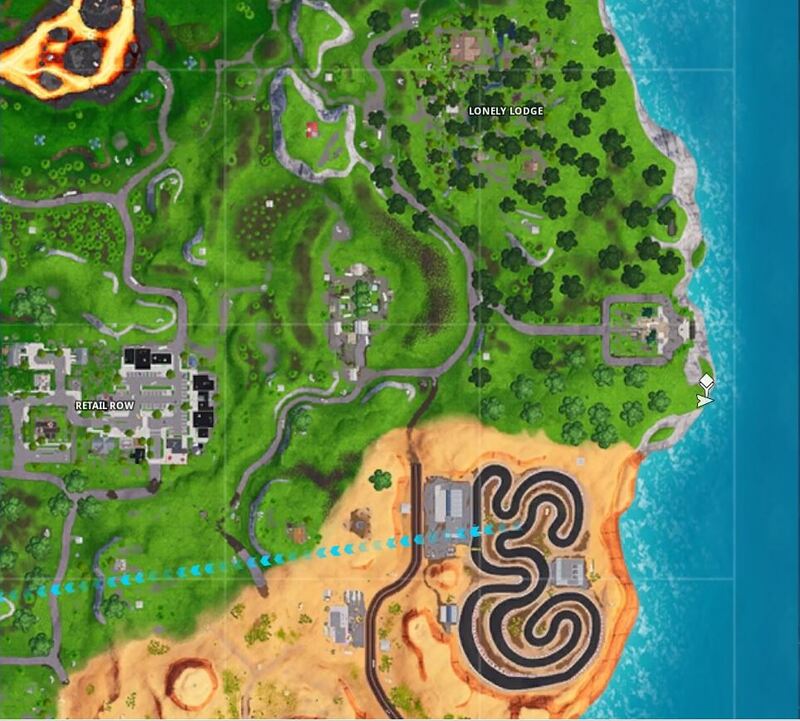 The furthest south point is to the southeast of Lucky Landing, up at the end of the dirt trail on top of the hill. There’s a floor spawn next to the south point as well, so you won’t be defenceless if you want to keep on with the game. 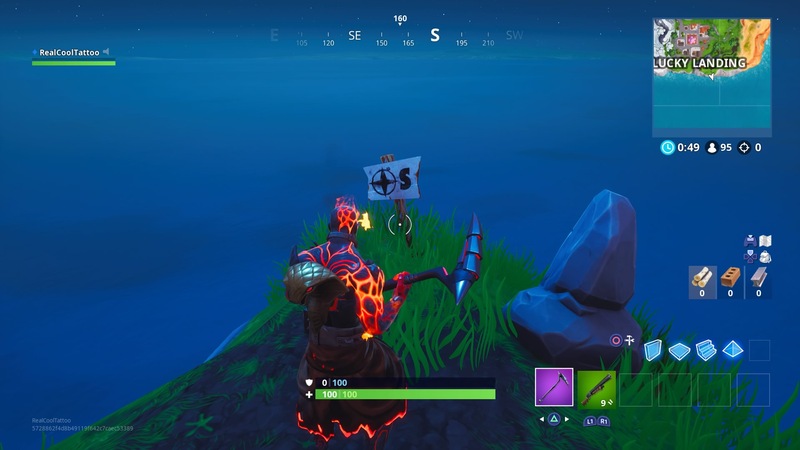 The furthest east point is to the southeast of the secret mansion to the south Lonely Lodge. You can find the east sign just to the north of the desert racetrack, where you could grab a vehicle to head towards another point. 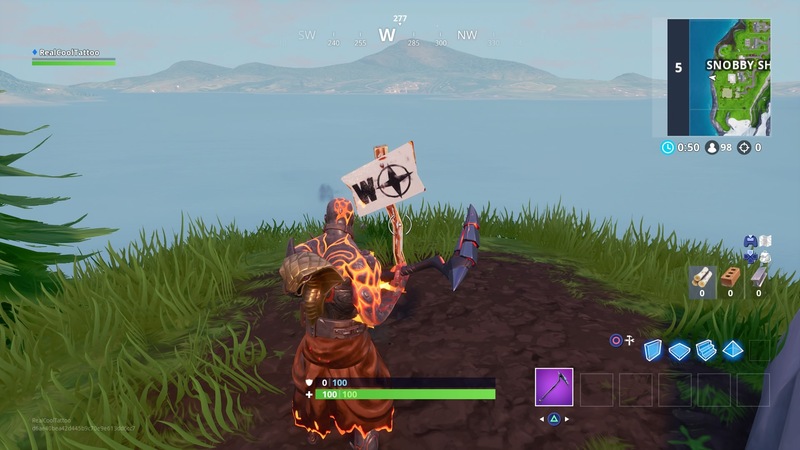 The furthest west point is in the west of Snobby Shores, behind the fourth house from the top. Of the four furthest points this is a good one to continue your game from, as well as visiting other points, because you can both loot the area and snag a vehicle for speed.